Hi friends! 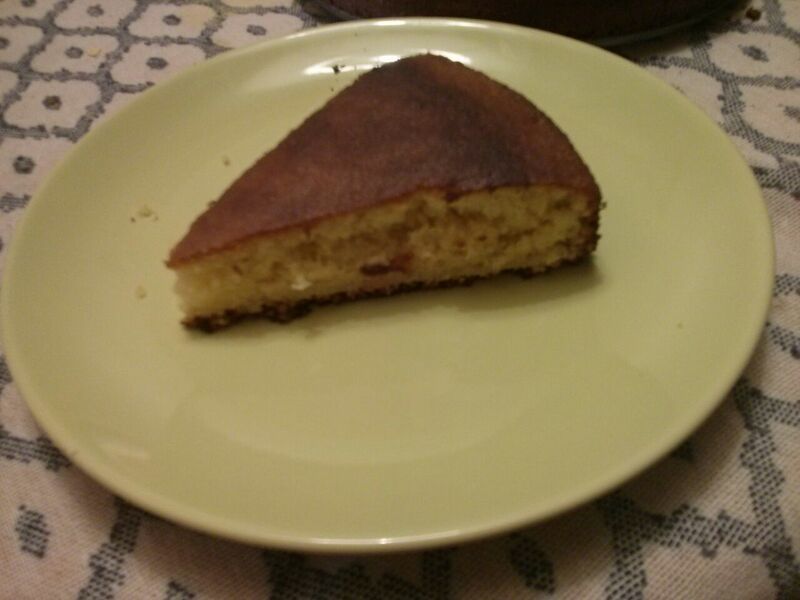 This is a simple butter cake that is good with tea or coffee. Easy to make, and very delicious. Beat in the eggs, one at a time then stir in the vanilla. Combine the flour, baking powder and salt. If the batter is too stiff, a tablespoon or two of milk can be added. Grease and flour a round pan. Spread the batter evenly into the prepared pan. Preheat oven to 350 degrees F /175 degrees C Bake for 25 to 30 minutes in the preheated oven, until a tester inserted into the center comes out clean. Take out the pan from the oven. Cool cake in pan on a wire rack, then turn out onto a plate. Dust with powdered sugar before serving. Your cake is too dense. Solutions: Make sure you’re using wet measures for wet ingredients and dry measures for dry; check the freshness of your baking soda and powder, and check your oven temp to make sure it’s hot enough. A cake that bakes too slowly takes longer to set and may fall, causing a dense texture. There are holes and tunnels in your cake. Solutions: Consider what mixing method you’re using. If you have a recipe that calls for hand-mixing, yet you use a hand blender, you’ll need to mix much less. Standing mixers are incredibly efficient, but will mix your cakes very quickly. Make sure your ingredients (eggs, liquid and dairy) are as close to room temperature as possible to encourage proper mixing. Solutions: Ensure that you’re measuring your flour properly. To do so, spoon the flour into the measuring cup and level off evenly. Avoid dipping your measuring cup into the bag as this presses the flour into your cup and you’ll end up with too much flour. Measure cocoa powder the same way. To avoid over baking, there are three indicators that you should look for to determine if your cake is done: The cake should be slightly pulling away from the side of the pan, a cake tester inserted into the deepest part of the cake comes out clean, and the cake should spring back when gently pressed. Solutions: Mix your cake according to the recipe — there is a function to the order in which ingredients are added to create the right texture. As soon as you begin mixing flour with a liquid and a fat, gluten is developed. Gluten is not desirable in cakes, so mix thoroughly but as little as possible. Make sure you’re using the correct flour. If your recipe calls for a cake or pastry flour then an all-purpose flour or bread flour will be too hard, creating a tough crumb. 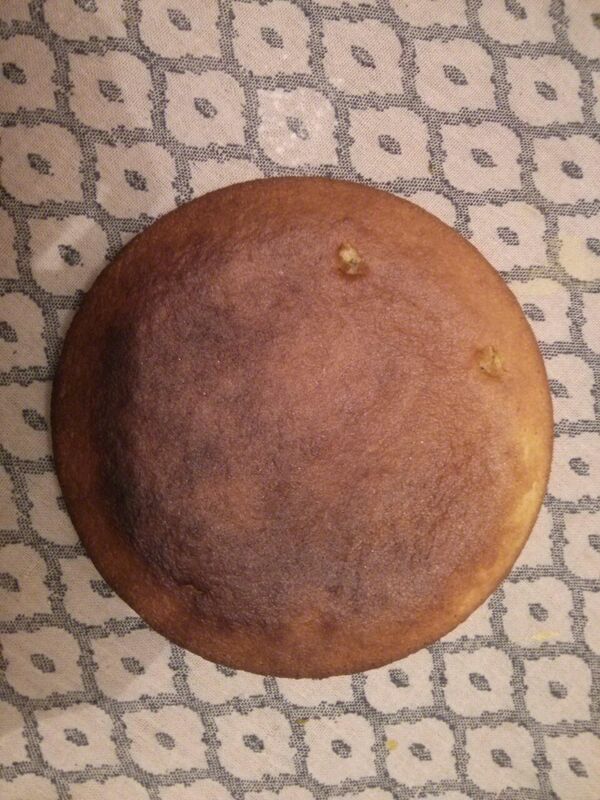 The cake broke when turned out of pan. The icing is full of crumbs. Solution: Do a ‘crumb coat’ when frosting your cake. Whether you’re making the simplest of cakes or the most extravagant of gateaus, put a very thin layer of icing on the cake for starters. This layer glues down the crumbs. Chill the cake until that crumb coat is firm, then continue icing your cake. There shouldn’t be a crumb in sight. Always grease the pan and line with parchment. 2.Allow the oven to fully preheat before putting your cake in. 3. Bake in the center of the oven unless otherwise specified. 4. Bake in the size of pan specified, otherwise uneven baking will mean an uneven cake. 5. Don’t try to double a recipe — cake recipes are more complex than that. Source out a recipe for a larger volume instead. 6. Use fresh ingredients. Old ingredients taste bad, and old leaveners simply don’t work. 7. With the exception of spices, don’t substitute ingredients. Especially ones that have structural impact. Now that you have all those rules…have fun and go bake a cake!